This outfit is also known as my "it's too damn hot to function" outfit. I wore this easy ensemble while out running errands all over the city yesterday. It's been over 100 degrees for too many days in a row and I'm over it. I've never been one to wish summer away, but wow, am I ready for fall. Plus, summer is my least favorite time of year when it comes to clothes. Bring on boots, coats and sweaters please! 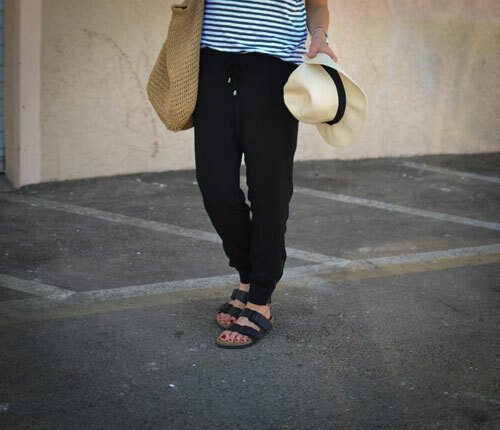 Simple and very cute, laidback outfit! Love this casual look! Especially the pants.